HD 1080P Sony Black Dome CCTV Security Coax Camera AHD +TVI+CVI+ / 2000 + TVL Analog Infrared Indoor/Outdoor Color D/N | Infrared Day/Night Color Cameras | iHDIRDFIO-1080SN-B | | iLink Professionals, Inc. 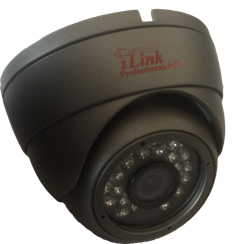 The iHDIRDFIO-1080SN-B is a 4-in-1 bullet Sony HD 1080p infrared surveillance camera with a 90 degree viewing angle that supports the following video formats: AHD, TVI, CVI, and standard analog (CVBS). 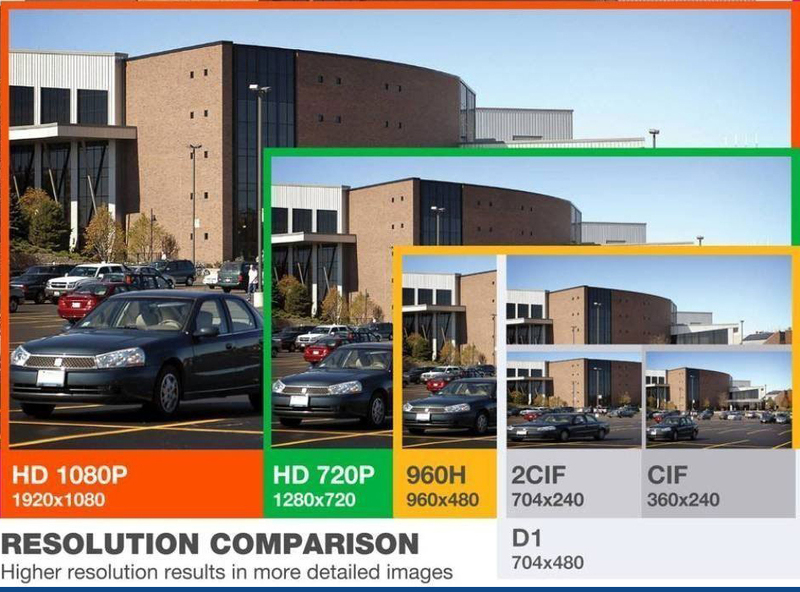 The AHD, TVI, and CVI video modes support 2 megapixel / 1080p resolution (1920 x 1080). 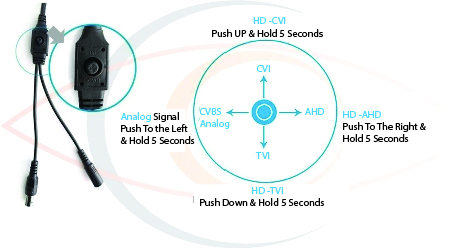 The standard analog mode (CVBS) supports 960H resolution (960 x 480). The appropriate video mode can easily be selected by using the small joystick that is attached to the camera's OSD video cable. The iHDIRDFIO-1080SN-B has 24 built-in infrared LEDs that enables the camera to see in complete darkness up to 60 feet. Highly recommend if you have an older DVR and your trying to find a camera that can still show using your DVR. Finally have it in black! Terms and Policies - *Specifications, pictures, and prices are subject to change without prior notice.